First off, I’d started traveling regularly in 2015. During that time, I had just embarked on a new career. I’d worked as a writer for about 3-4 years and I was earning quite well before I decided to go into software engineering. That means I was back to step one, and my money was as good as any fresh graduates. During that year, I was able to visit the following: Caramoan Islands (Camarines Sur); Playa La Caleta Island (Bataan); Fortune Island (Batangas); Jomalig Island (Quezon Province); Alibijaban and Burias Islands (Quezon and Masbate provinces); Penitan Bay and Mercedes group of Islands (Camarines Sur and Camarines Norte); Sorsogon and Albay; Davao; Cebu and Siargao; Antique, Guimaras and Iloilo; and Sagada and Maligcong (Mountain Province). Trivia: At the end of 2015, Hali and I published this blog. For experienced backpackers, this isn’t something new. In fact, there are travelers who are able to go on multi-country trips for months on a stretch. For me, it was a big achievement because I didn’t know I can go to various places as long I manage my funds correctly. For newbies to traveling, I hope this can give you tips for the future. How did I do this? Well, that’s what this article is for. You know what they say. If there’s a will, there’s a way. You will always have bills to pay and social invites to go to, hip restaurants to try and so on. So how can other people travel frequently, while others can only do so once or twice a year? Simple, make it your priority. About 3 years ago a friend invited me to El Nido, Palawan, and asked that I prepare a budget of P8-10,000. I thought it was expensive then, so I declined. I’d instead spent my money on food tripping in various restaurants in Manila (I had a list of good-rated restaurants from Tripadvisor and food blogs), shopping for clothes and Friday night drinking sessions. So you see, back then I had a different view of what’s worth spending money for. Today, if I have a trip coming up, I keep a weekly budget and only buy necessities. Yes, it’s a little sacrifice but again it’s about making and keeping priorities. Travels and tours are convenient, but not always necessary. 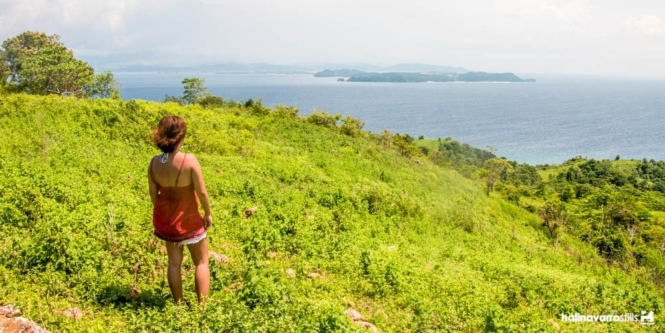 Most destinations in the Philippines can be visited on do-it-yourself trips. You just need to do a little research and read about budget guides, perhaps contact a few people or tourism offices, and you’re good to go. I also try to keep things basic. Unless you’re aiming for a comfortable staycation, forget expensive hotels. You’ll save a lot more by staying in cheap homestays and accommodations. My definition of cheap is anything between P400 and P750 for a room for 2 people. You can also bring a tent, if you’re staying overnight on a beach. Aside from Hali and my friends at Alon ng Pag-asa, I don’t really belong to a particular travel barkada. So I know how it feels like to plan and then worry about having no one else to go with, but I always manage. How? I go online to pool. There’s a lot of Facebook groups nowadays that cater to the travel community. Post an ad ala Craigslist in one of these. A few groups you can visit are the Backpackers of the Philippines, DIY Travel Philippines and Byaheng Budgetarian. I also search in online forums. Femalenetwork’s Girltalk and PinoyExchange both have threads for those searching for travel buddies. These are geared more toward international travels though. Have I tried looking online? Yes. The first time was in 2014 when I went to Kwebang Lampas in Quezon Province with a good-natured woman I talked with in a forum. We talked on a Wednesday or Thursday and met on that weekend. 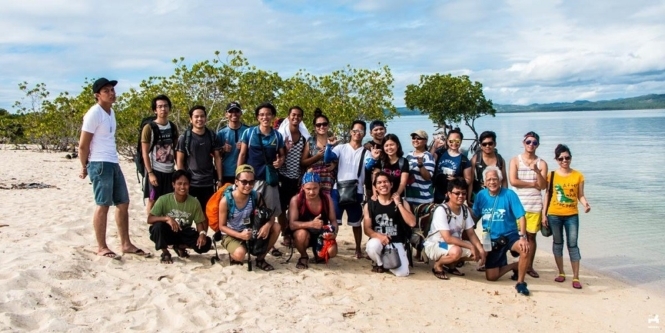 In the same year, I joined a holy week expedition by Malaya International Outdoor Group (not very active now) to Palaui in Cagayan Province. I didn’t know any other joiners prior to the trip, but this was when I met most of my initial travel acquaintances. As you probably know, we advocate voluntourism. It’s one of the many volunteering work you can join, but it caters mainly to travelers, more specifically to backpackers. You can read about an introductory post on voluntourism here. 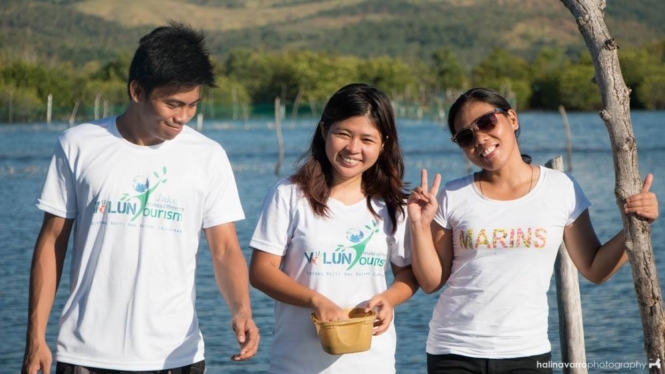 Travel is cheap with voluntourism trips because you always travel in a big group. In addition, sometimes locals or fellow volunteers in the area provide us with free accommodation and tours. I’d written this lastly because I am invested in this topic. Minimalist living is actually very broad, in such that we can go on and on about it. It can mean several things to different people, but essentially it means investing on the things necessary for your life and then removing everything else. I’d started minimalist living by choice, by the way. As you know I’m interested in the esoteric and spirituality, and this is one way to improve yourself and your point of view in life. The thing about minimalist living is that I learnt that there’s a lot of things I can do without. I’d stopped frequenting Starbucks and other expensive cafes (except on social occasions), I’d donated a bunch of dresses and other clothes that are occupying space in my wardrobe, I think twice or thrice before purchasing something (“Do I really need this?” “Will I be able to use this regularly?” “Will I regret buying this?”). In result, not only did I remove so much clutter in my life (literally and figuratively), I’d also started saving money and use this for my incoming trips. If you’re interested on how to start on minimalist living, here’s a guide that I found on minimalism for beginners. Aaand that’s it. We’ll probably do another recap at the end of this year, but this will do for now. How about you? Can you share your experience as well? Any other tips you’d like to add? You are a true inspiration! How do you find a cheaper accommodation, Katherine? Which search engine do you use? AHHHHHH! This is the dream! To get to visit so many of the country’s treasures, you are really blessed! Hoping I could do the same. And yes, I am now a fan of your blog! Much love and more power! I’m starting to practice minimalist living as well because I’m dreaming to get a US visa before I turned 25. Traveling is a priority talaga. I got curious with volunteerism. I’ve been wanting to do that since college. I’ll go check out your another post. This is applicable and relatable not only with travel. Some may have neglected the value of saving and what I call giving back. I wish to try to be a “voluntour” or a volunteer for travel. I’ve been itching to travel yet schedule would not permit. Even in my own province, I’ve encountered difficulties in traveling. Though, what’s the range of a basic salary in your post? Alam mo, ang post mo, although travel ang purpose, pero applicable sa maraming bagay eh. Importante talaga ang savings and a tight budget and discipline. It is possible to save if one really wants to. So I’d say the post you did here is more than just that, the travel… it is also about the mindset. Yes! 🙂 I recommend minimalist living talaga it changes your perspective in life. Siguro apply it in a way na it doesn’t feel like you’re depriving yourself or you’re having a poverty mindset but that you’re abundant but choose to spend it on things that are most important to you.